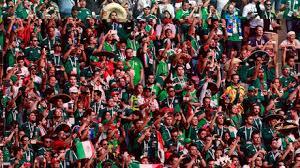 Mexican fans were a bit excited Sunday when their national team beat defending champ Germany 1-0. How excited? So excited that apparently the whole country jumped at once, and seismic sensors in Mexico City detected a small earthquake. In a tweet, the Institute of Geologic and Atmospheric Investigations in Mexico noted that at least two sensors registered the quake, and that it was caused artificially, "possibly by massive jumps" when Mexico's Hirving Lozano scored the match's only goal. Some seemed to disbelieve the event, with many asking why no magnitude was given in the tweet, as is usually listed with earthquakes. Institute director Carlos Del Ángel told BuzzFeed News the event was similar to a magnitude 3 earthquake.